Last Valentine's Day, M and I decided to celebrate the day over our favorite past time, FOOD. 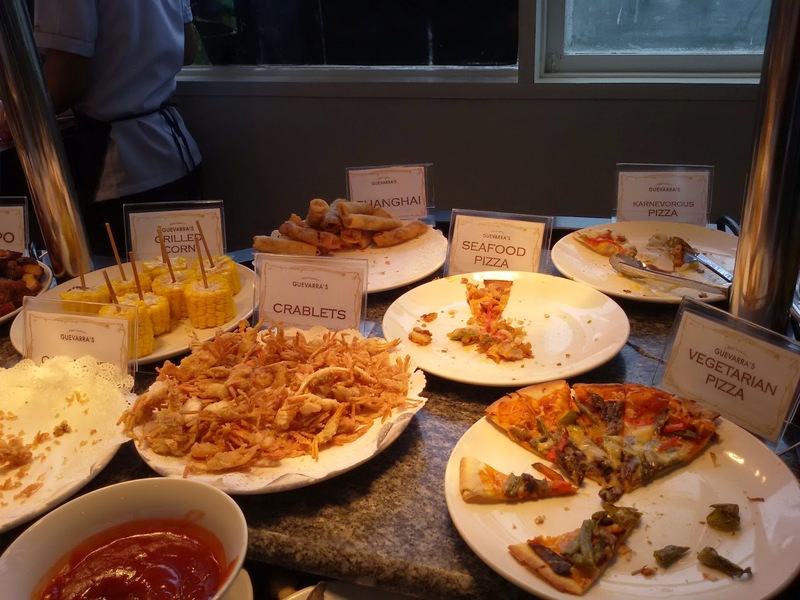 And what better way to devour (lots of) food than to experience it over buffet, the- Chef Laudico Guevarra's Buffet - way! 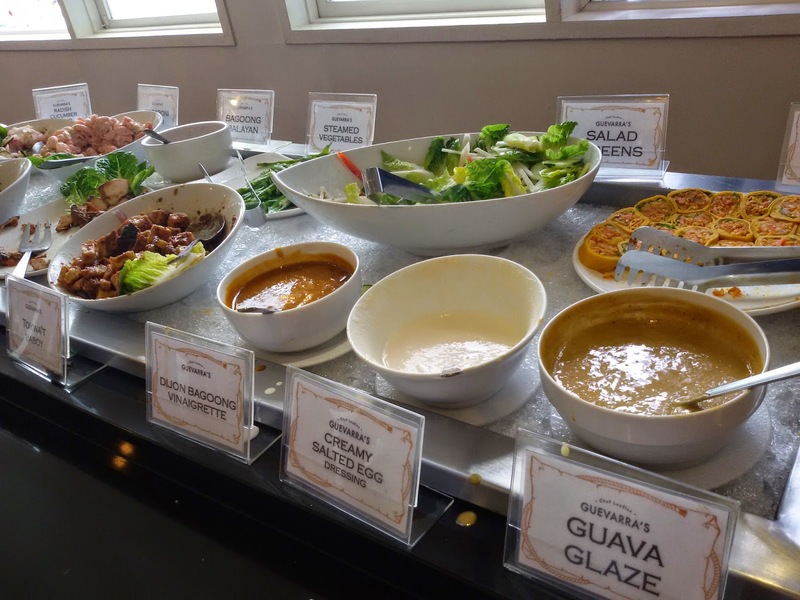 If you would notice in my past buffet feasts (here, here, here and here) we usually have it over lunch because I can't take in too many food in the evening (plus it's hard to digest and burn all the calories during that time of the day). And because we're dining at the most in demand buffet restaurant during the season of hearts, I made a reservation as early as mid-January. 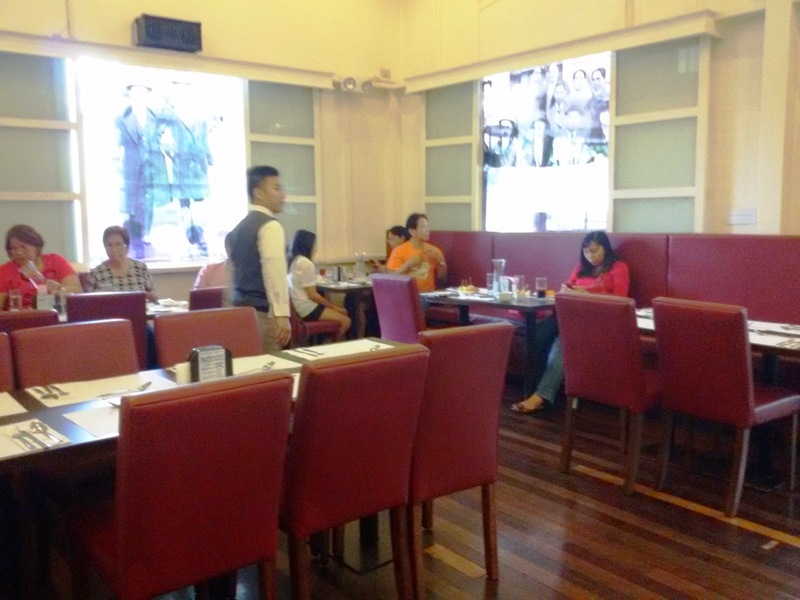 It didn't surprise me that upon reserving a table for two, the reservations staff told me that their dinner tables were already fully-booked and we were on the wait-list. 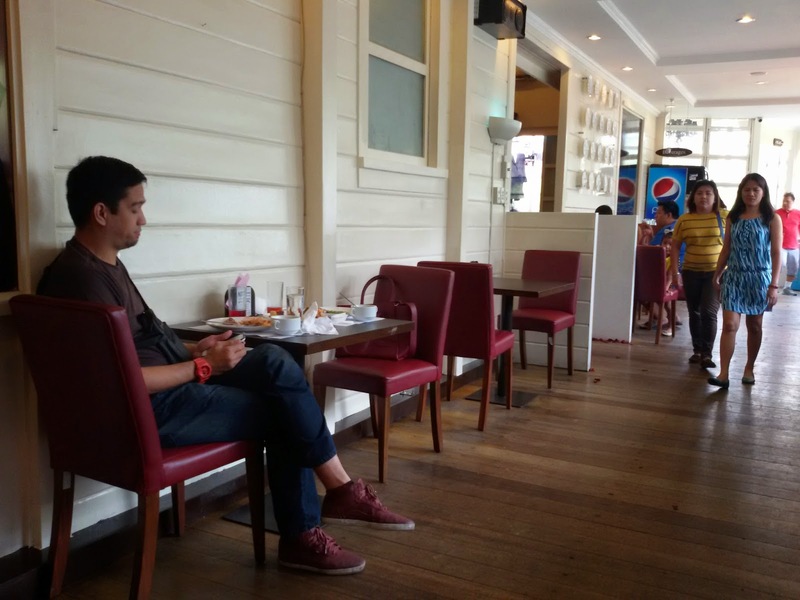 Good thing, we had lunch buffet in mind, so there were still available tables for us. 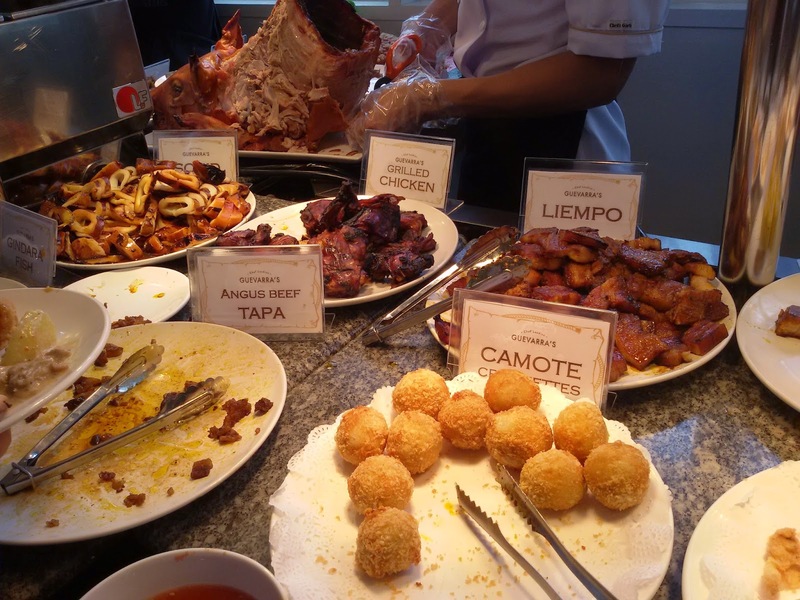 Why Chef Laudico Guevarra's Buffet Restaurant on Valentine's Day? 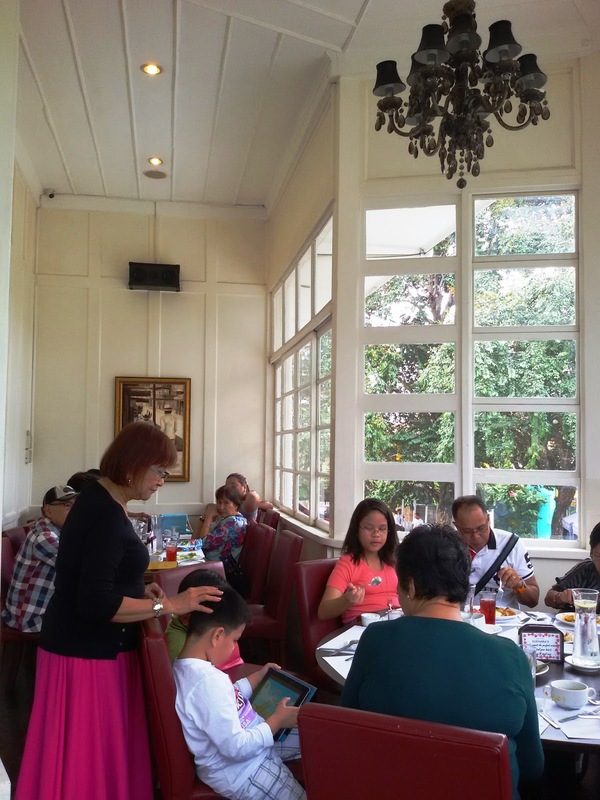 First, we wanted to dine in a casual, homey, and intimate restaurant with a romantic ambiance. 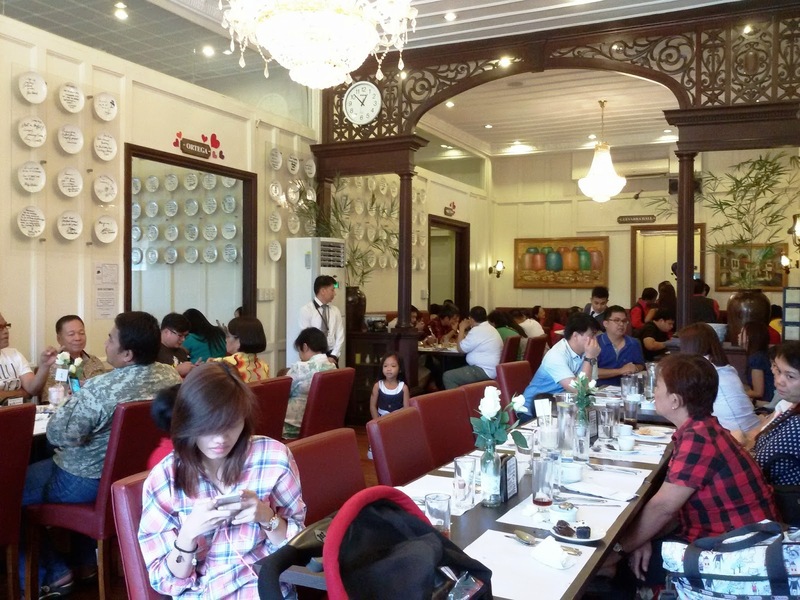 We all know how Victorian or in Chef Laudico Guevarra's case, old-Manila or Spanish-inspired ambiance could be romantic and nostalgic right? 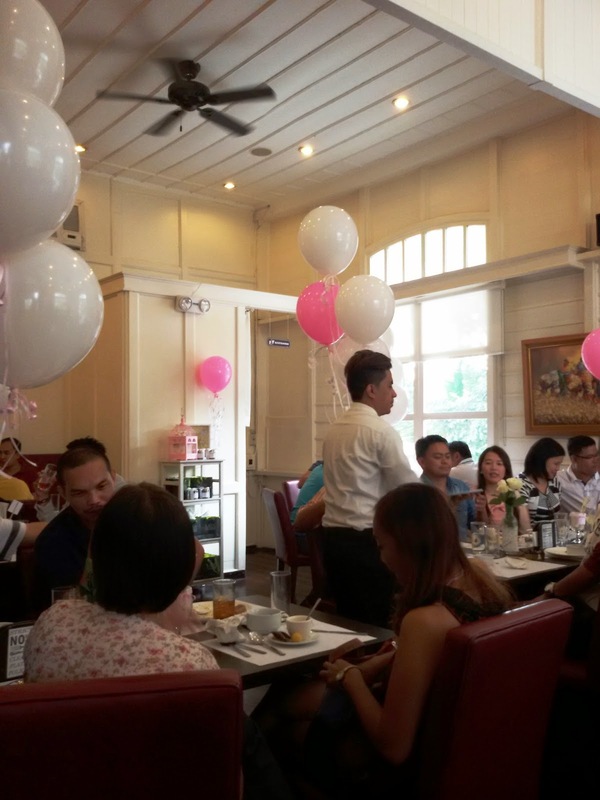 I like that, we wanted that dining feel for that beautiful afternoon, hence the venue deemed perfect for that special day. 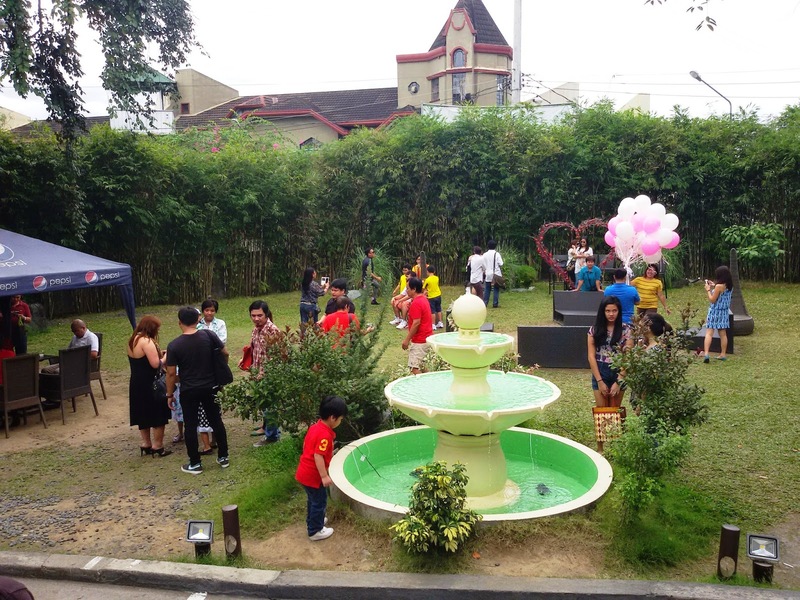 Plus, it's just a few minutes away from Manila, where we reside. 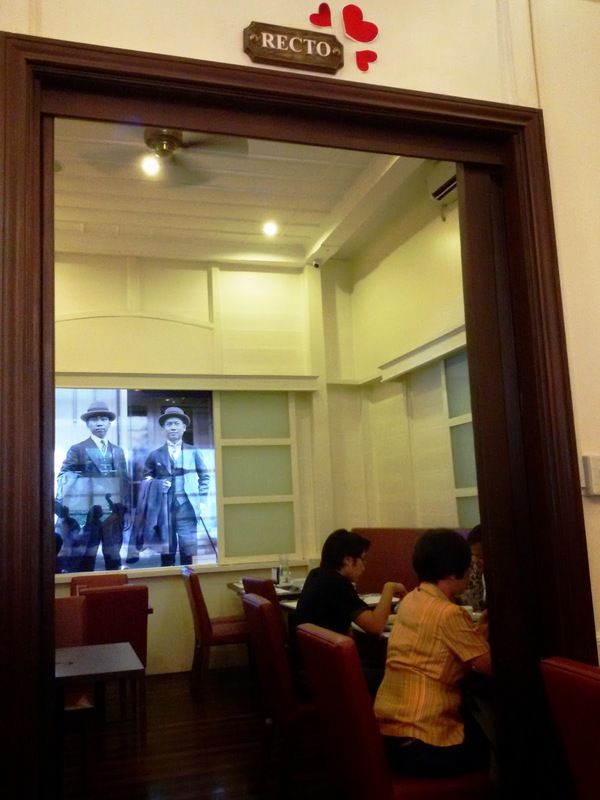 The restaurant was an old heritage house built in 1920's which was restored and transformed into what it is today. 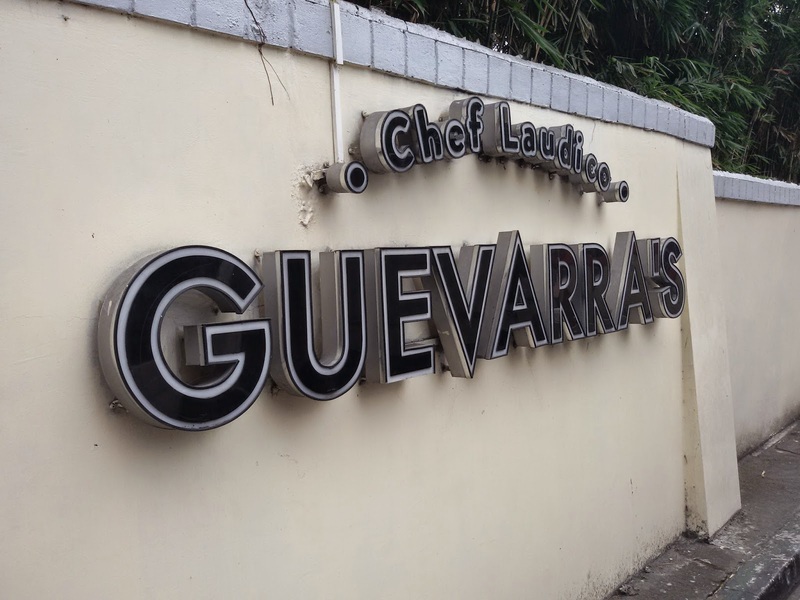 Owned by Chefs Roland and Jacqueline Laudico, this restaurant is located along P. Guevarra Street in San Juan, M.M. 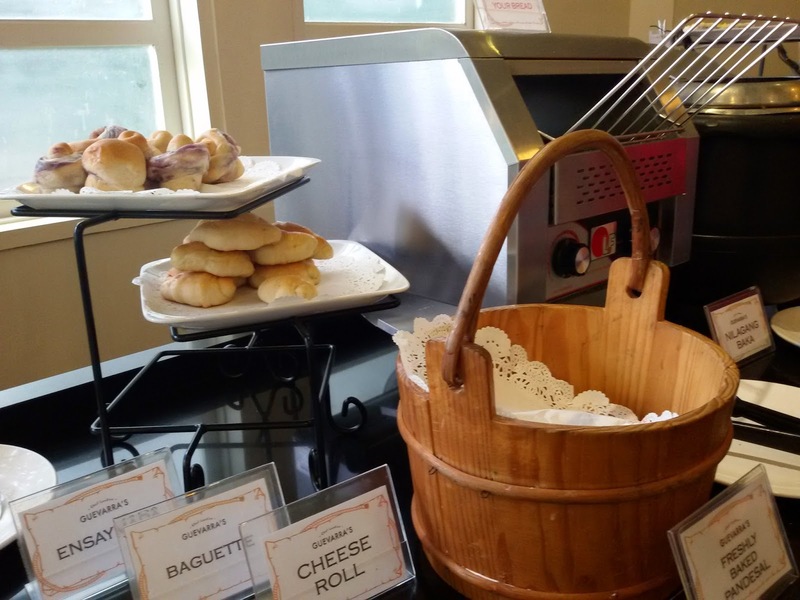 Now let's talk about what the important matter we came there for, their buffet food spread! 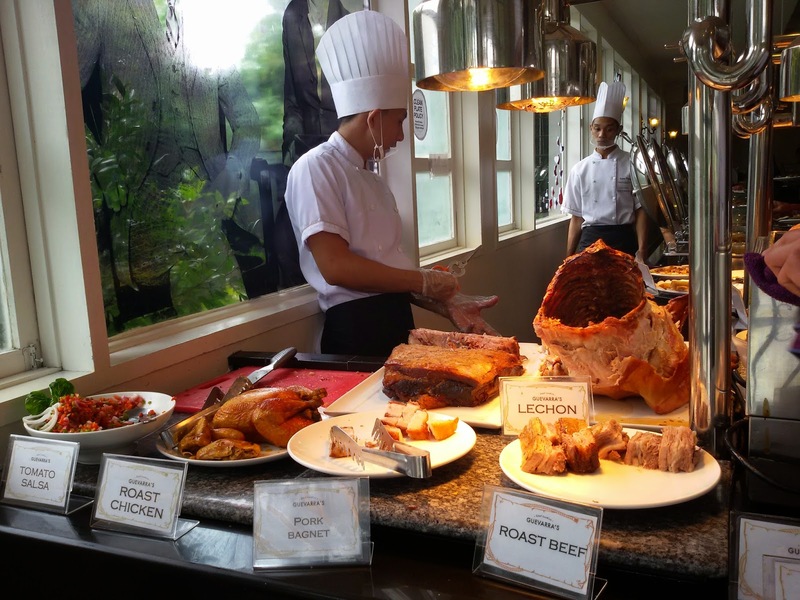 Basically, Chef Laudico Guevarra's Buffet Restaurant offers six stations: APPETIZERS, MAIN COURSE, CARVING STATION, HOT & GRILLED, DESSERTS and BEVERAGES. 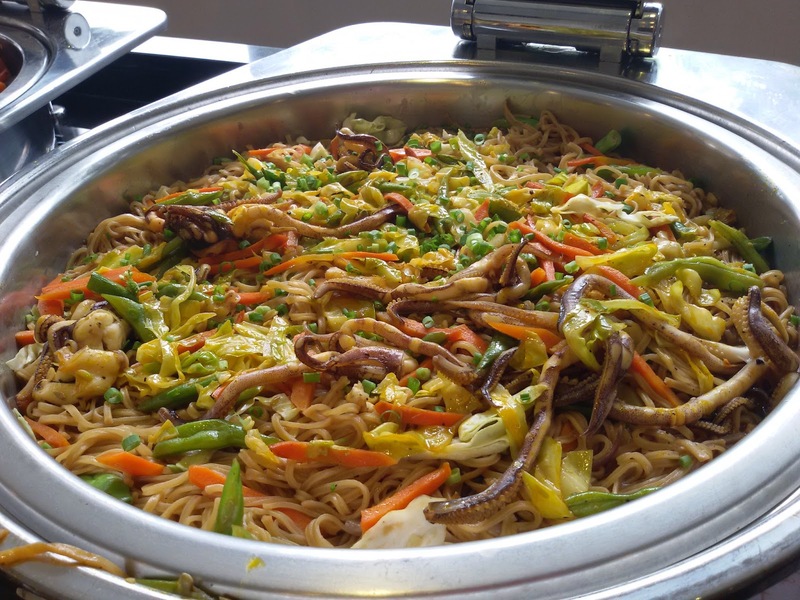 The buffet restaurant has over 50 Filipino delicious dishes to choose from. 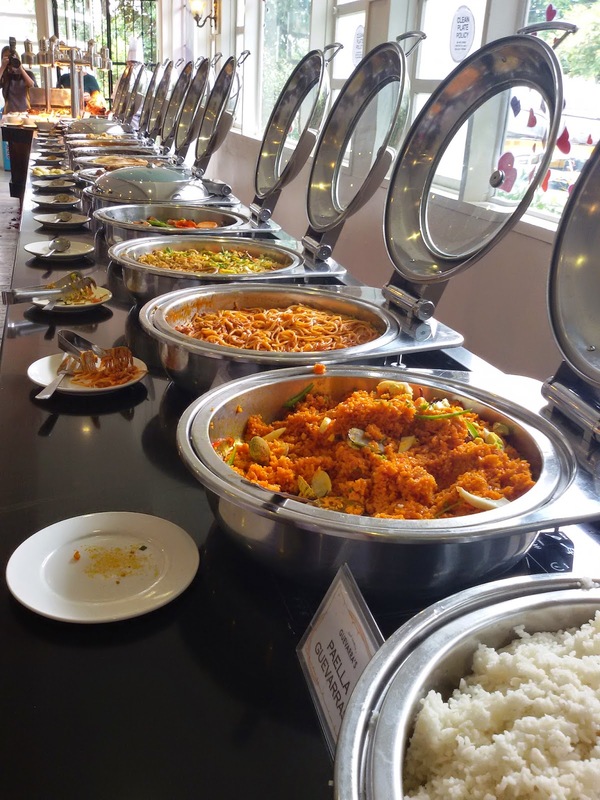 Yes, this is an all-Filipino buffet restaurant, so if you're expecting other dishes, you will not find it here. 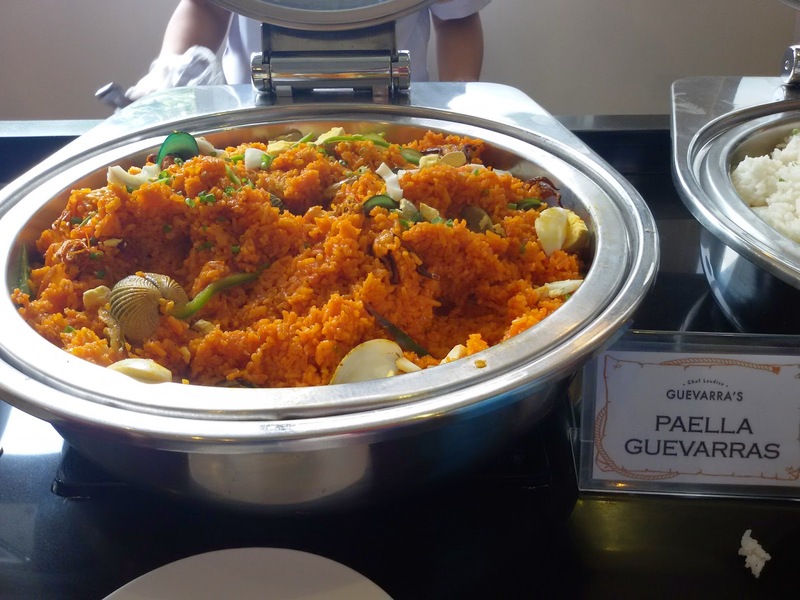 But we should all love our own and if you're up for true Pinoy dishes coupled with a Filipino-Spanish old house ambiance, one that will take you back in time, this buffet restaurant is for you. 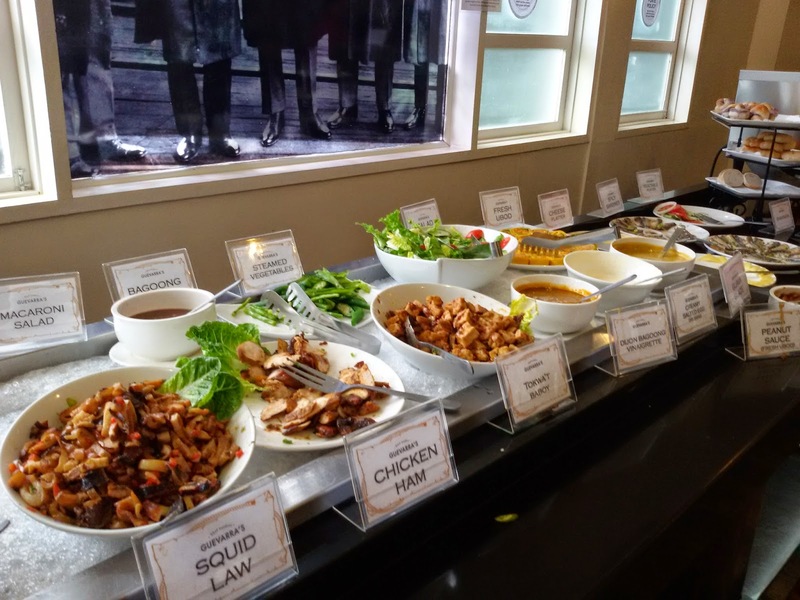 STARTERS/APPETIZERS include: Breads (Ensaymada, Pandesal, Baguette, Cheese Rolls), Salads (Radish Cucumber, Macaroni Salad, Steamed Vegetables), Filipino Dips/Pastes/Dressings (Bagoong Balayan, Bagoong Vinaigrette, Guava Glaze, Peanut Sauce, Kuya Cesar Dressing, and Salted Eggs), Fresh Ubod, Tokwa't Baboy, Cheese Platter, Spicy Sardines, Tuna Kilawin and Squid Law to name a few. 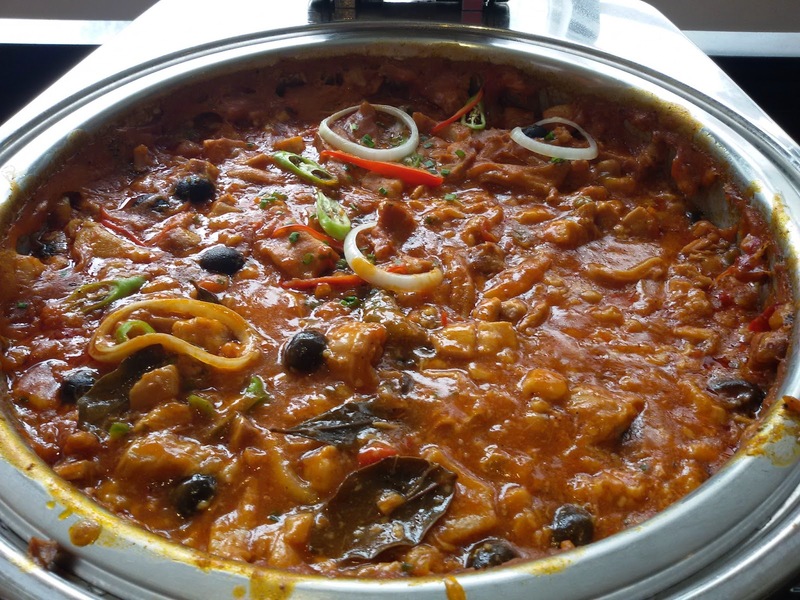 Now are you ready for a wide array of their Filipino Main Dishes! I am, definitely! 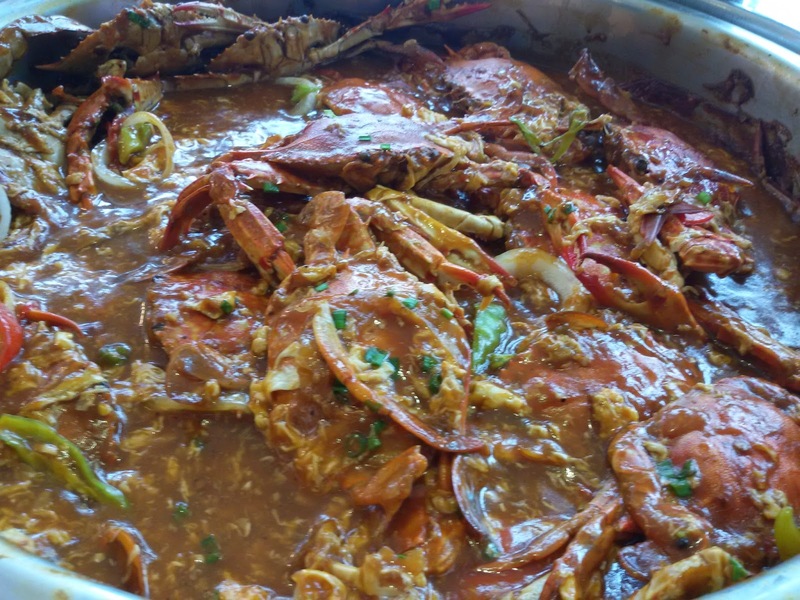 MAIN DISHES include the following: Kare-Kare (my fave since I was little), Chili Garlic Crab, Callos (my adult-years favorite!!! 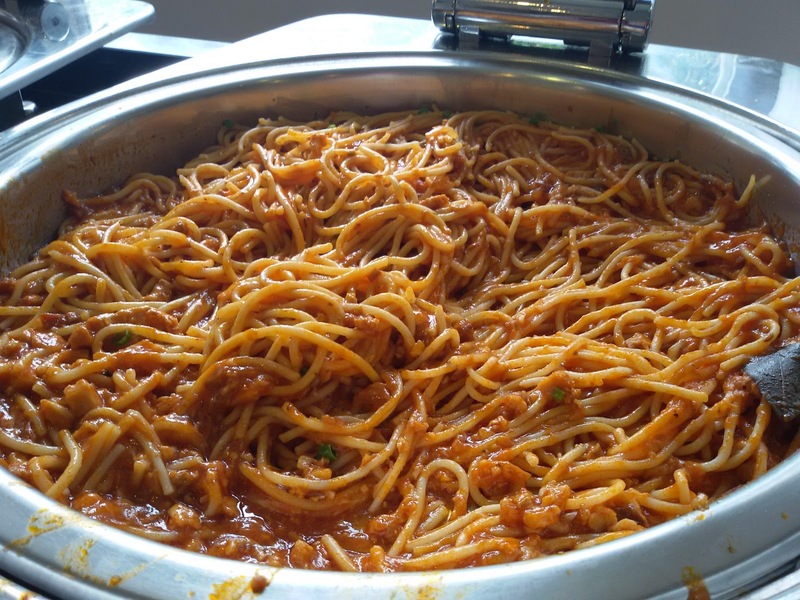 ), Party Spaghetti, Pansit Bihon, Fried Chicken, Chicken Pastel, Seafood Ala Pobre, Pinakbet Bagnet, Dinuguan with Puto, Fish Fillet, Paella Guevarras, and White Rice, to name a few. Next are their Hot & Grilled and their Carving Station where my date made tambay. Why? Of course the tasty and crispy Lechon lays there. 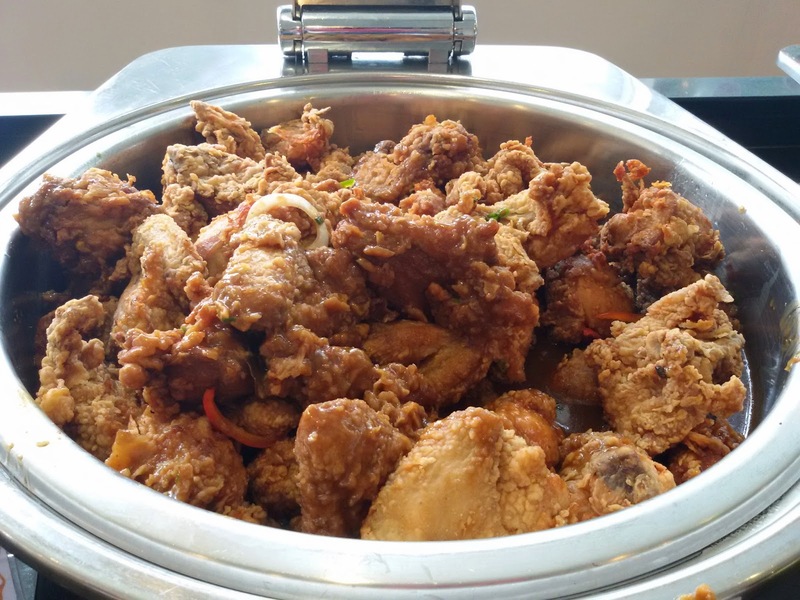 For HOT & GRILLED, they offer the following dishes: Liempo, Grilled Chicken, Angus Beef Tapa, Seafood Pizza, Karnevorous Pizza, Vegetarian Pizza Lumpiang Shanghai, Crablets, Grilled Corn, Camote Croquettes, Gindara Fish and Grilled Squid to name a few. 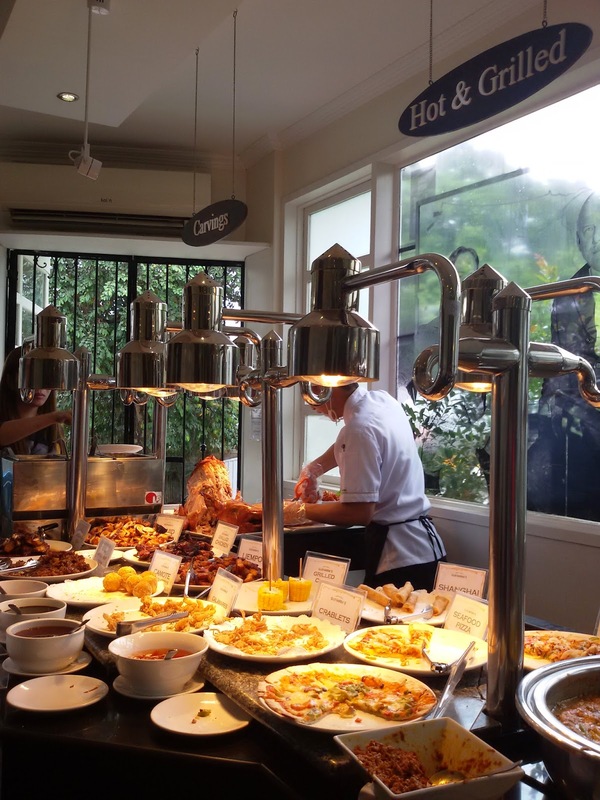 Their CARVING Station is not to be ignored at all because they have one of the tastiest Lechon around. Its skin is crispy (sarap ng unli-rice!) and its meat is juicy. 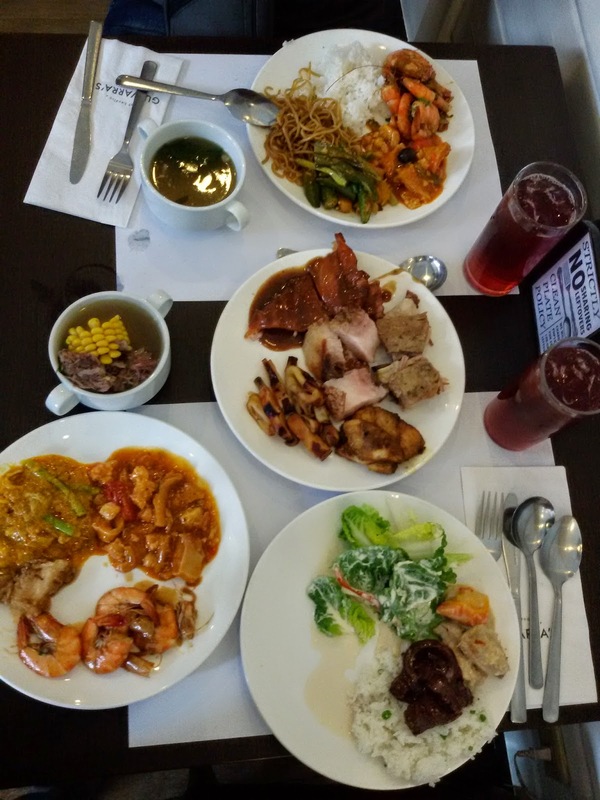 They also have Roast Beef, Pork Bagnet, Roast Chicken and Tomato Salsa (pangtanggal umay loves). 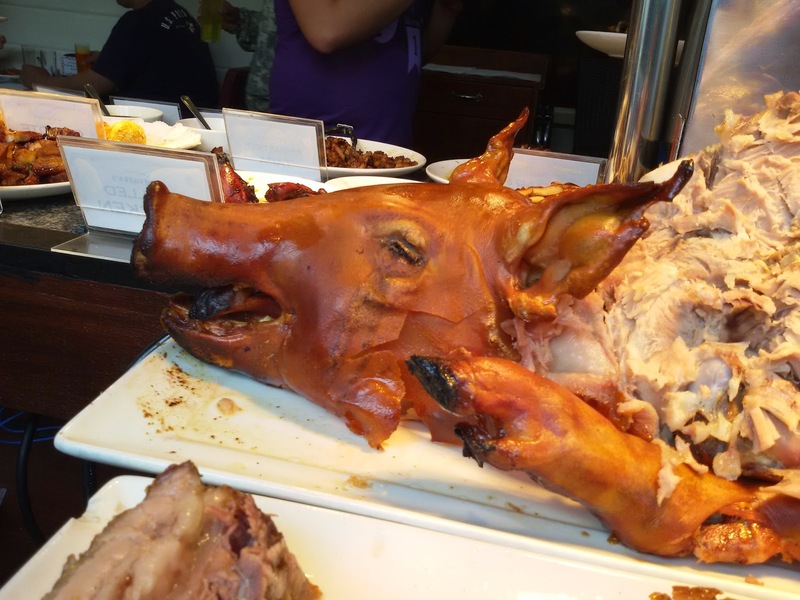 Kawawa this Lechon, it was a blockbuster dish and the most popular among the diners in this buffet restaurant! 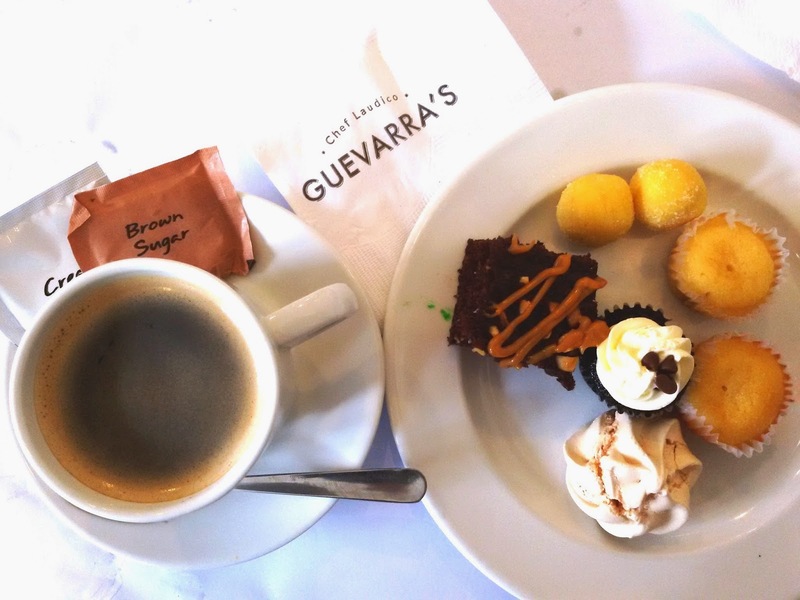 Moving forward to their DESSERTS, which I enjoyed too, Guevarra's buffet serves popular Filipino delicacies. 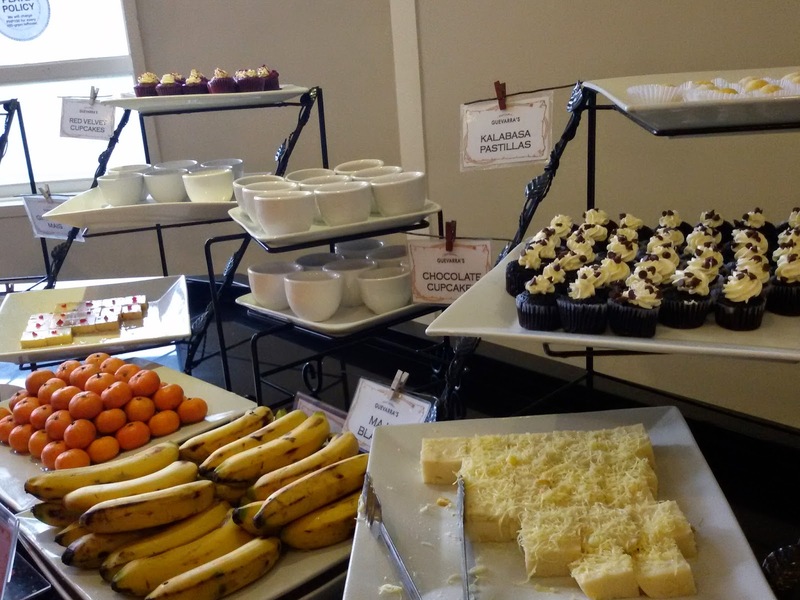 Among them are: Soft Ice Cream with lots of sprinkles, Kalabasa Pastillas, Fruits, Chocolate and Red Velvet Cupcakes, Maja Blanca, Suman Panna Cotta, and Fruit Salad to name some. 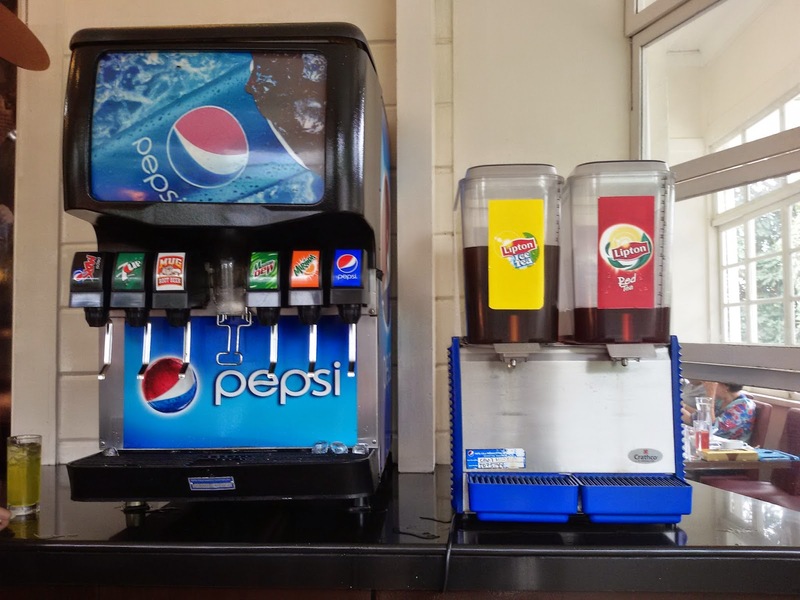 Their BEVERAGE Counter rather has limited choices, Pepsi products and Lipton Lemon or Red Iced Tea. 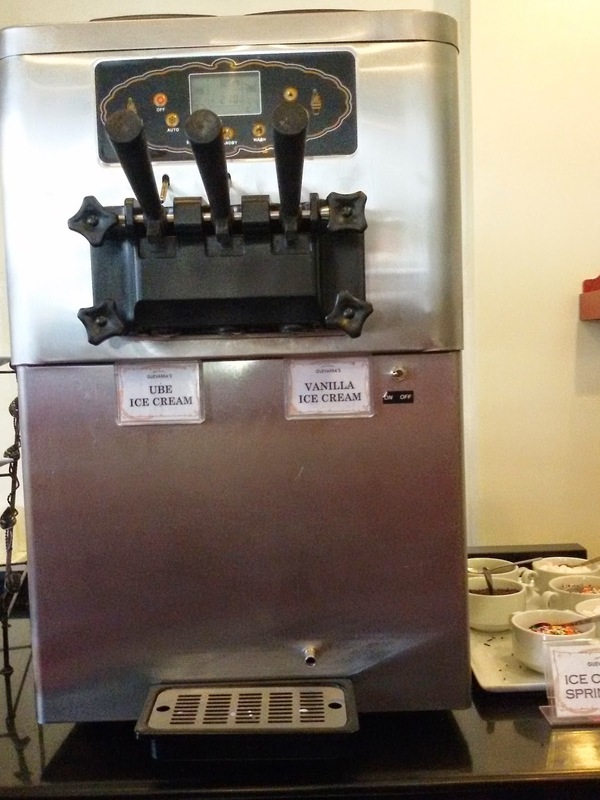 Brewed coffee is available but not part of the buffet price. You have to order it separately, which we did. 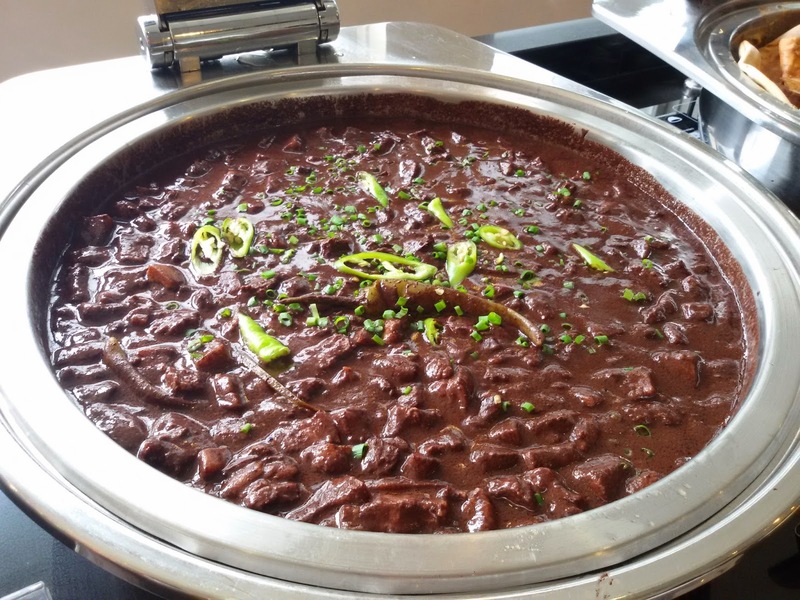 But it's still fairly priced at around Php65/cup. Still cheaper than other coffee shops right? 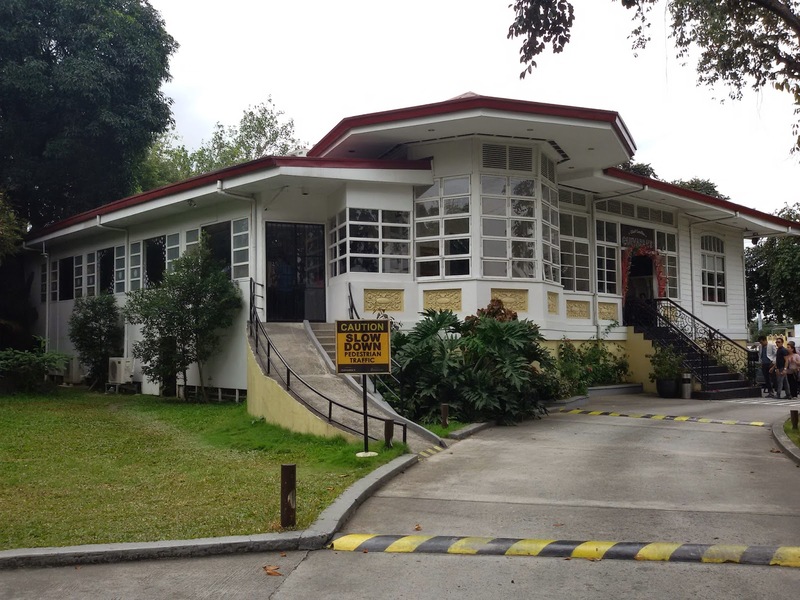 You would be surprised that this re-purposed and renovated old Spanish-Filipino house just had minimum interventions. 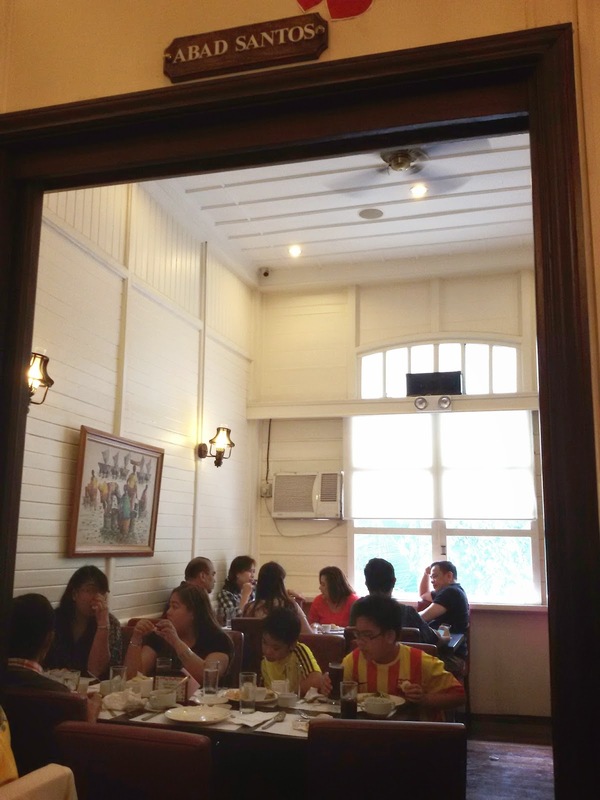 It seemed like the rooms and other parts of the house were preserved and the restaurant just worked around what is present. The house's rooms were turned to different function rooms, good to fit small to large groups. You could even close a room for an hour for a private function. 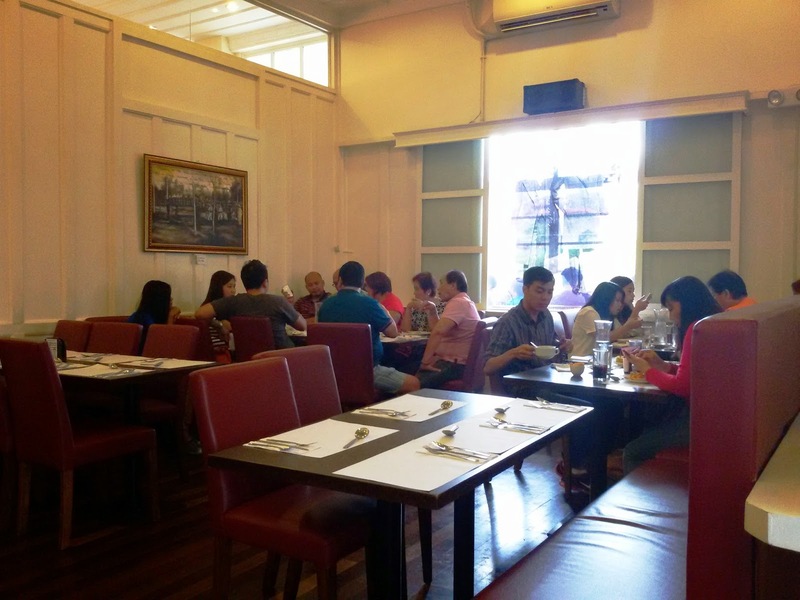 The restaurant is spacious and could fit a large number of diners at the same time. 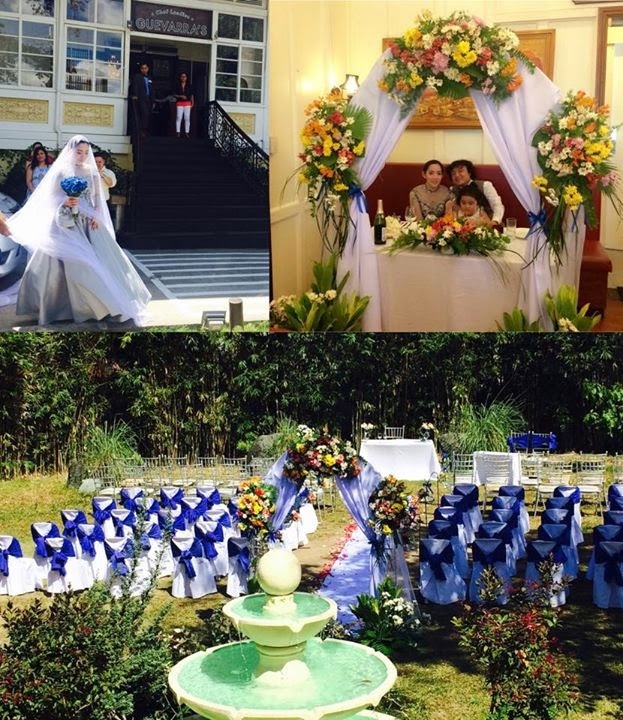 There are 6 rooms in which may be used for intimate functions such as weddings, product launches, baptismal reception or birthday party. 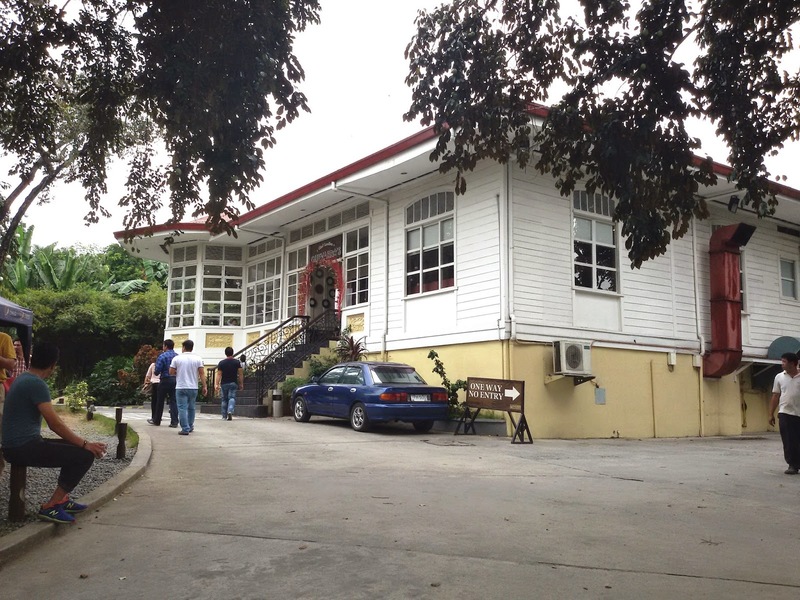 Mabini Room: This was used as a Baptismal Reception venue that day. 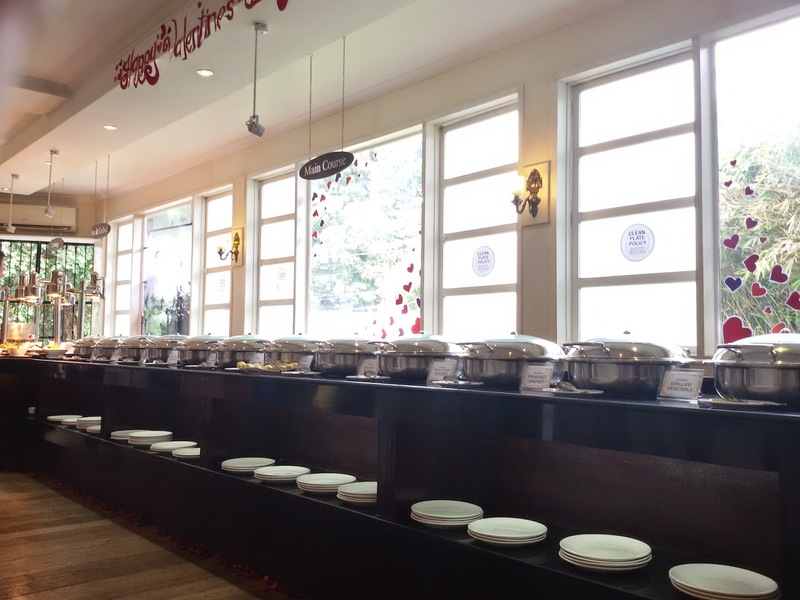 The area where the buffet spread is situated and tables for two are set-up. 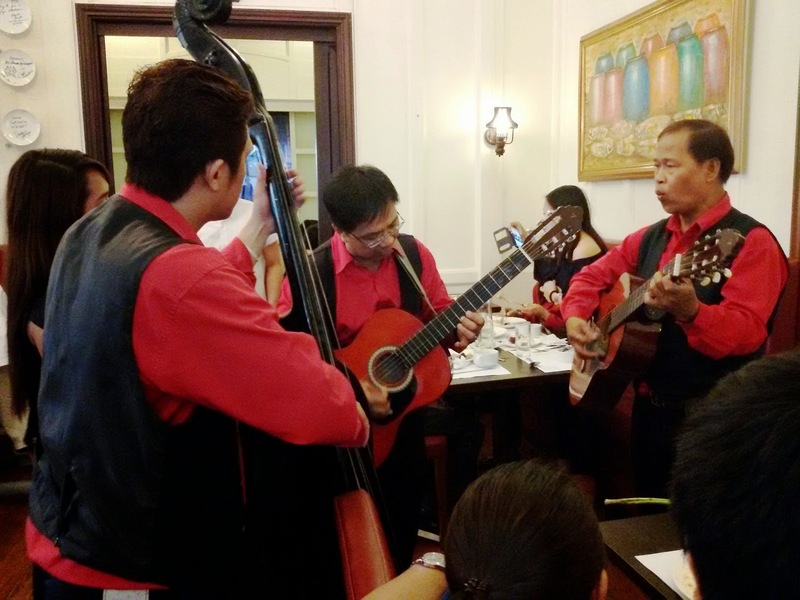 Here's my lovee Daddy M.
Guests were serenaded by this talented quartet. They sang Beautiful In My Eyes and All Of Me to us. Bulalo up close and personal. 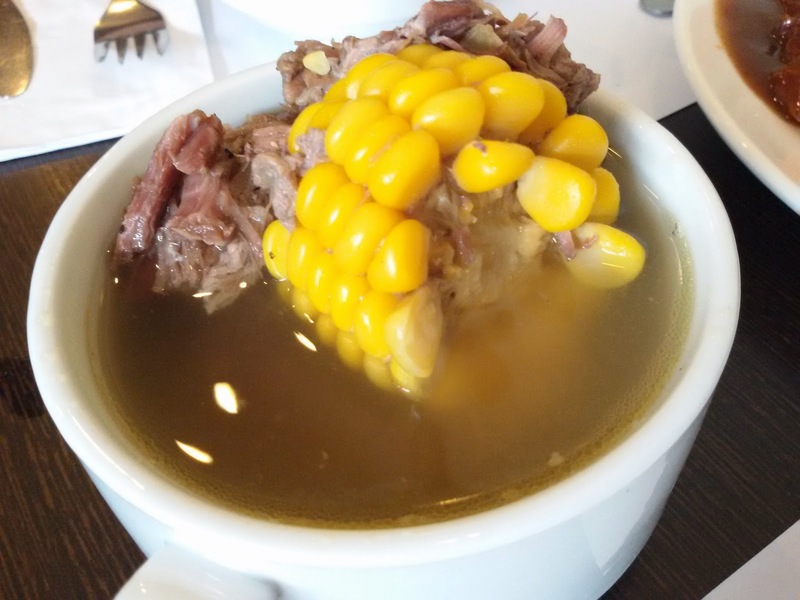 They serve Filipino Soup dishes, that day, it was this. 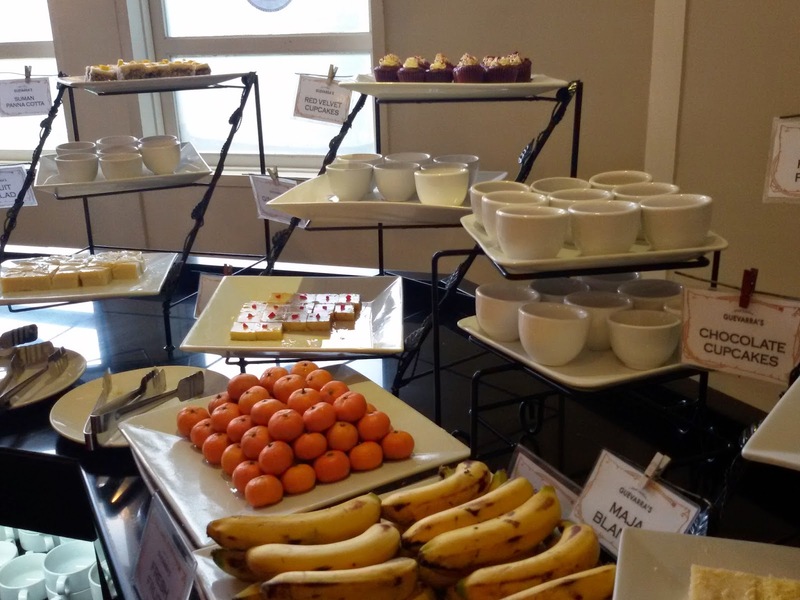 A plateful of desserts and an extra order of brewed coffee. 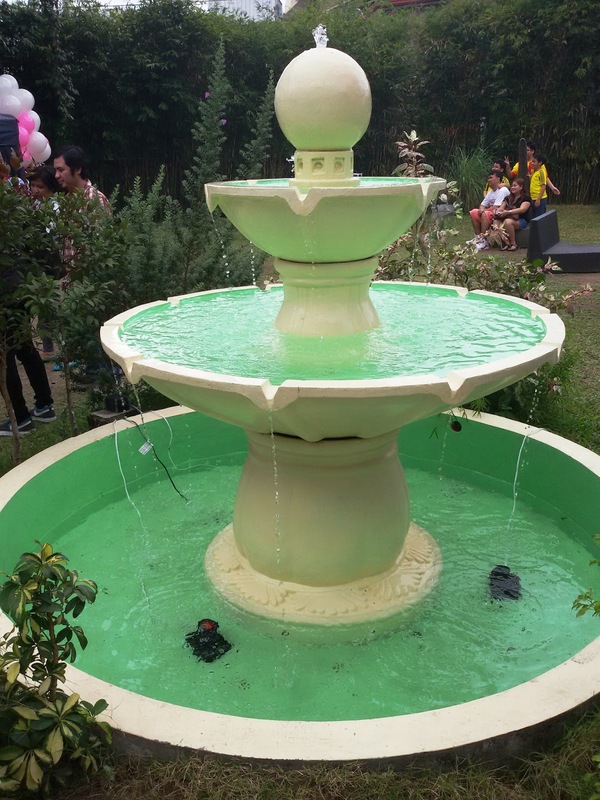 When you go out of the restaurant, a large spacious area with a small fountain, reminiscent of childhood times in your grandma's provincial old Spanish-inspired house, will greet guests who want to lounge around and could double as a play area for children with so much energy stored in them. 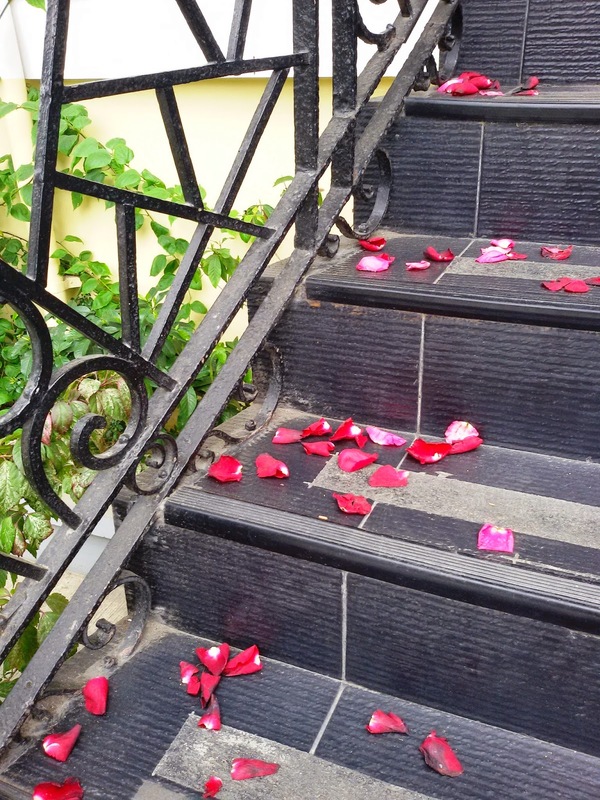 Rose petals on the staircase for their romantic touch on Valentine's Day. 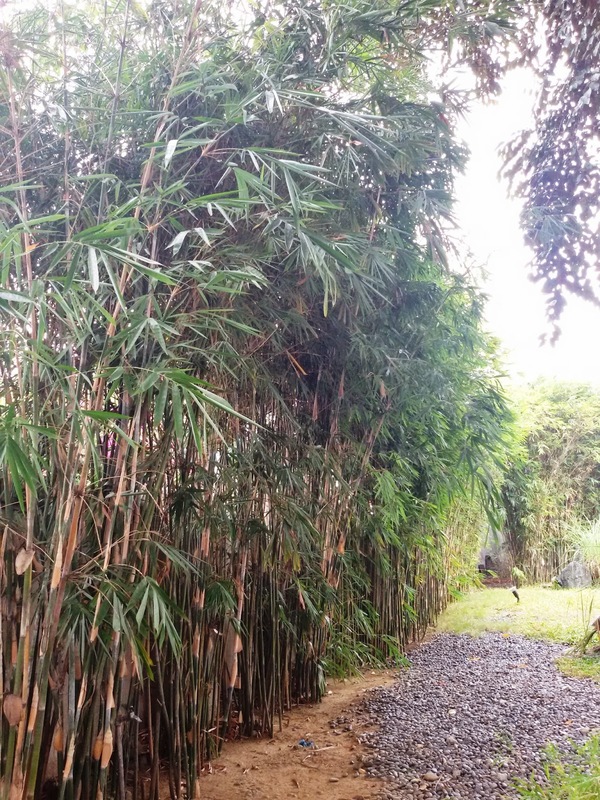 Bamboo Trees stand tall to give a green, zen and relaxing ambiance outside. 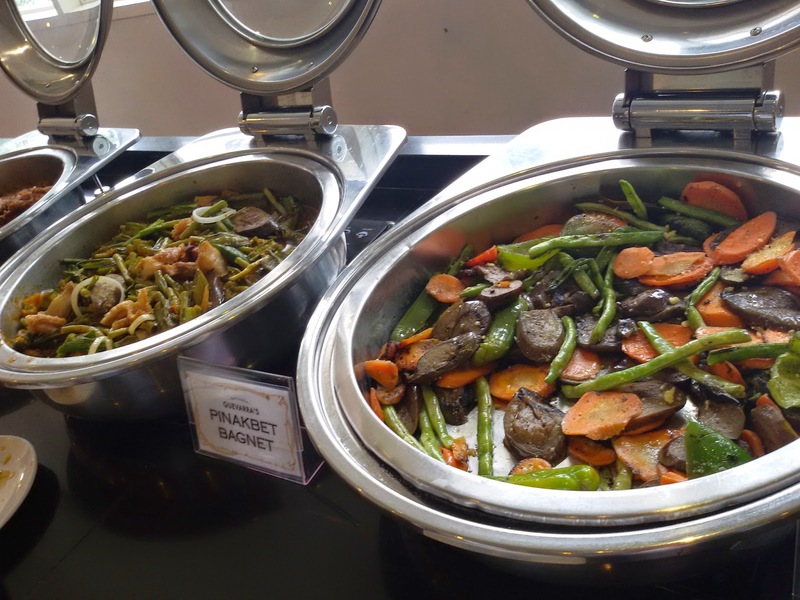 FOOD - When we came to Chef Laudico Guevarra's Buffet Restaurant, we already know that we're in for an all-Filipino buffet spread, so there's no expectation to find something else. 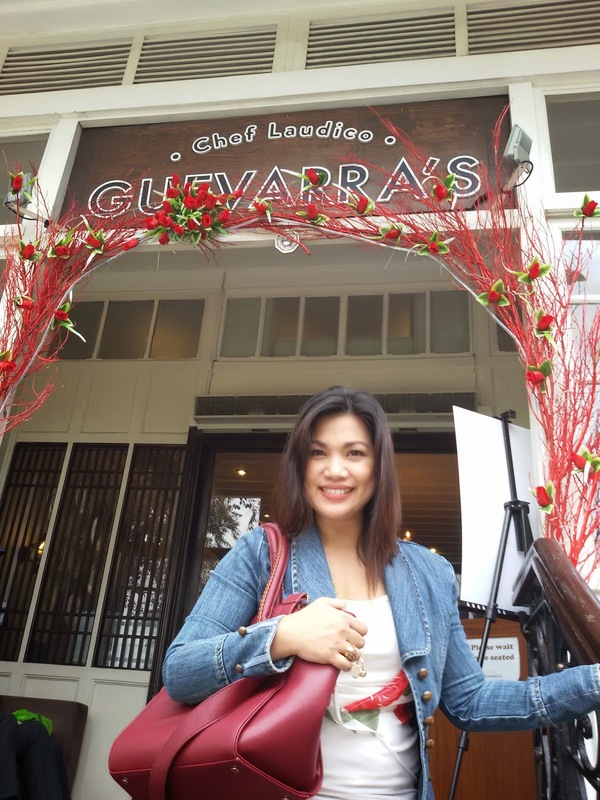 I enjoyed their Angus Beef Kare-Kare, their tasty Lechon, and my favorite Callos was to die for. Their desserts were just at the right level of sweetness. They had the right mix of everything. 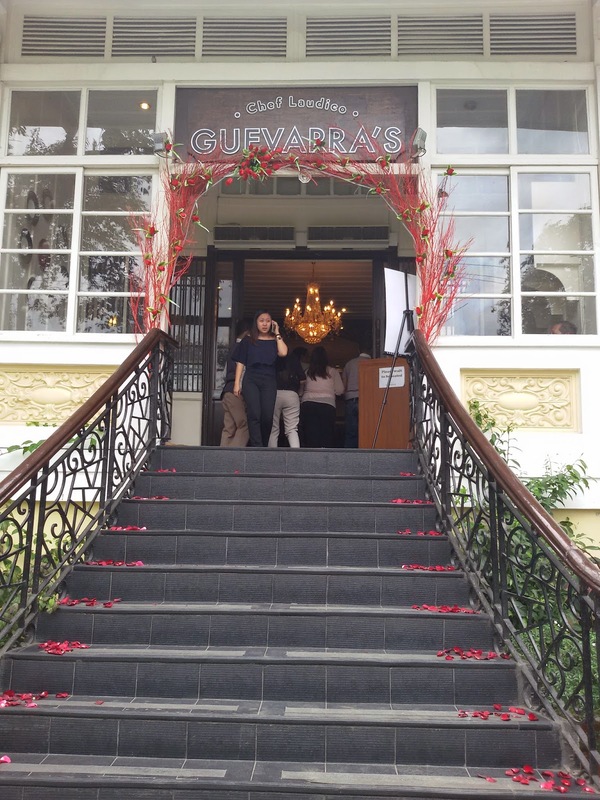 I must say, your craving for Filipino dishes will be satisfied at Guevarra's from Appetizers, Main Course, Grilled, Carving, and Dessert stations, you wouldn't be shortchanged. I just wish their beverage selection would offer more than sodas and Iced Tea. 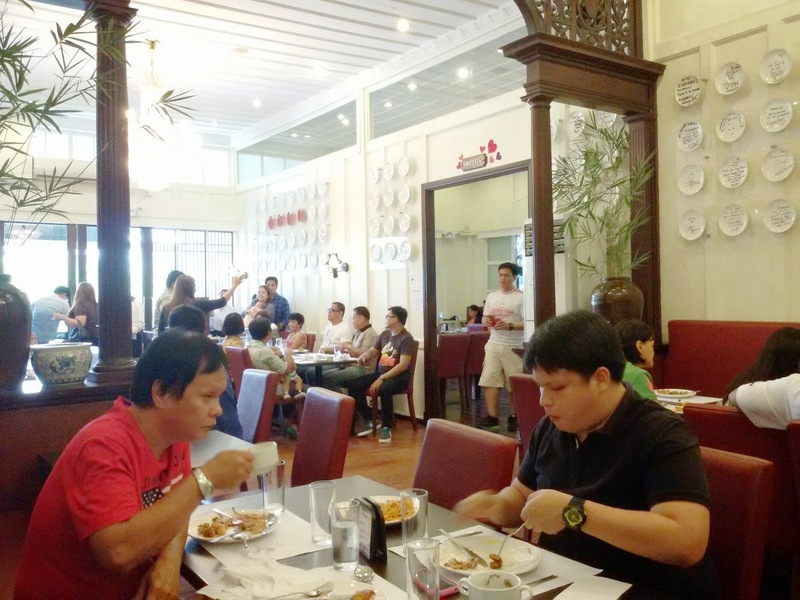 AMBIANCE - True to the very old-Filipino casa vibe. The whole house was preserved well which made guests feel very much at home. Since we came there at lunch time, there was enough natural light to where we were seated, however, in some rooms, it was a little dimmed. Every corner of the restaurant was clean including their restrooms. Overall, it was like coming home to your grandparents' house and sharing a meal with them. 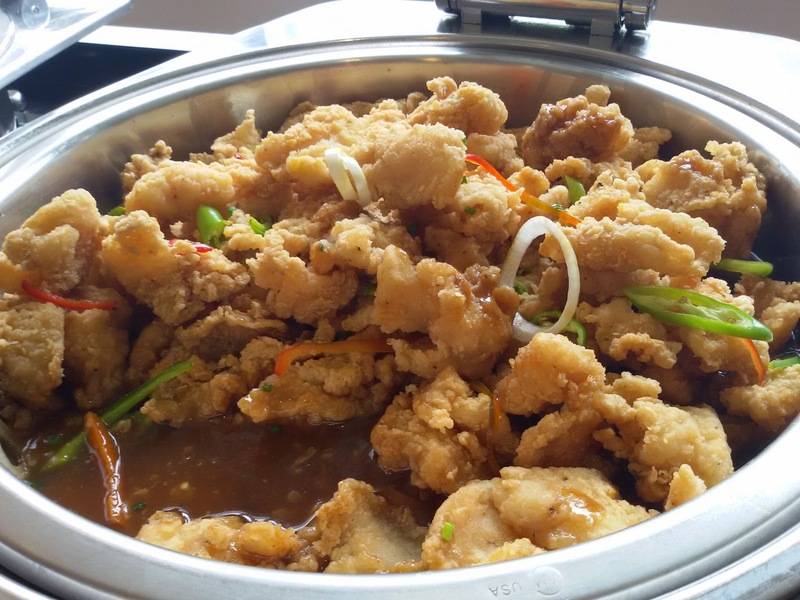 COST - I would say the most reasonable and most affordable buffet which offers quality and sumptuous food selection. Plus imagine! 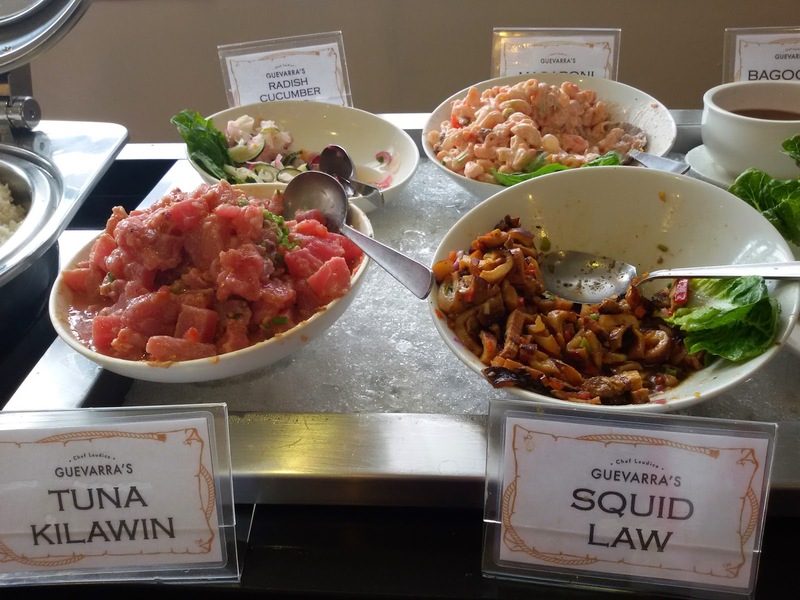 You are not dining just anywhere, you are devouring food creations of none other than the well-renowned, power couple, Chefs Roland and Jacqueline Laudico! Every peso spent is well-worth it! SERVICE - Reservation officers who answered my calls were polite and quick to give feedback on availability or otherwise. They even followed up my confirmation a week before via test message. That's good customer experience right there. 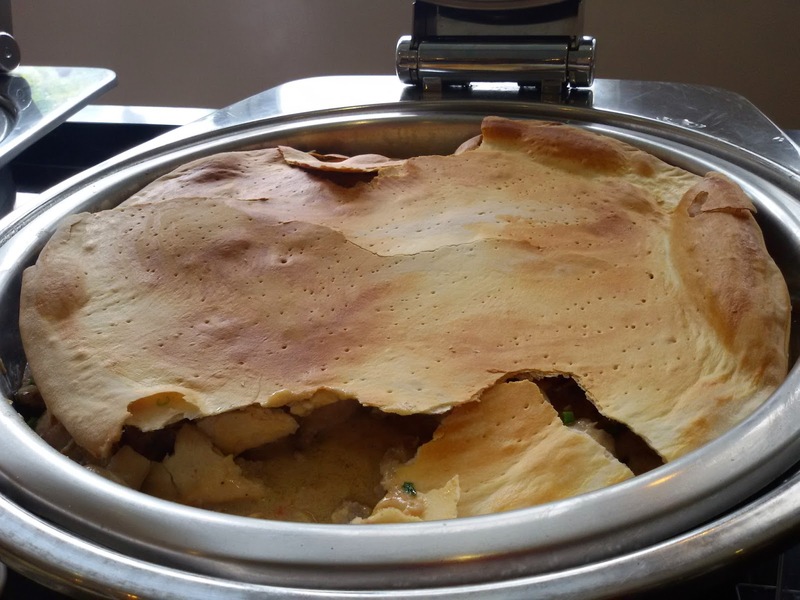 During our dining day, their staff were courteous, quick to respond, helpful and pleasant-looking. Overall, our dining experience was pleasant. Out of 10, I would give this a 9! 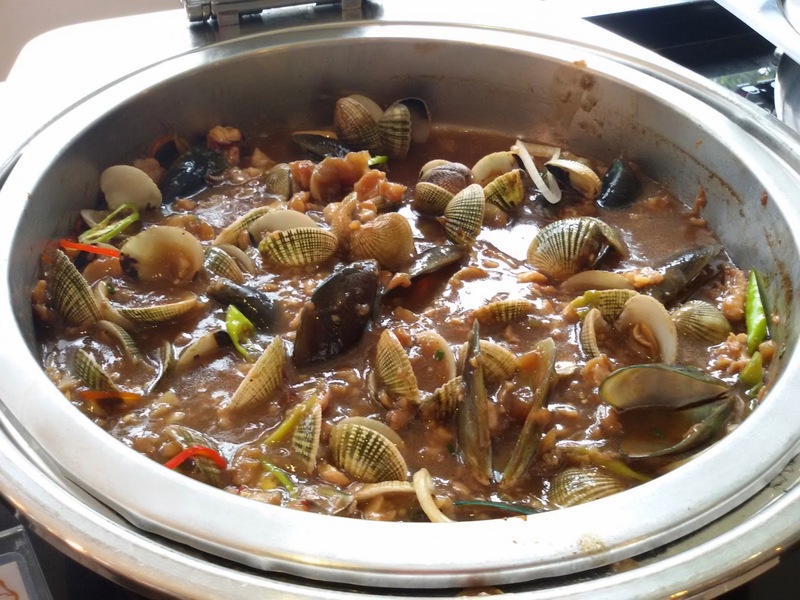 For more details or information, like Chef Laudico Guevarra's Facebook or follow them on Twitter. Are they open on Sundays? Thanks. Hi! Do you know by change their email address so I can email for reservation? Thank you. I would appreciate your help. Hi! Do you know by chance their email address so I can email for reservation? Thank you. I would appreciate your help.